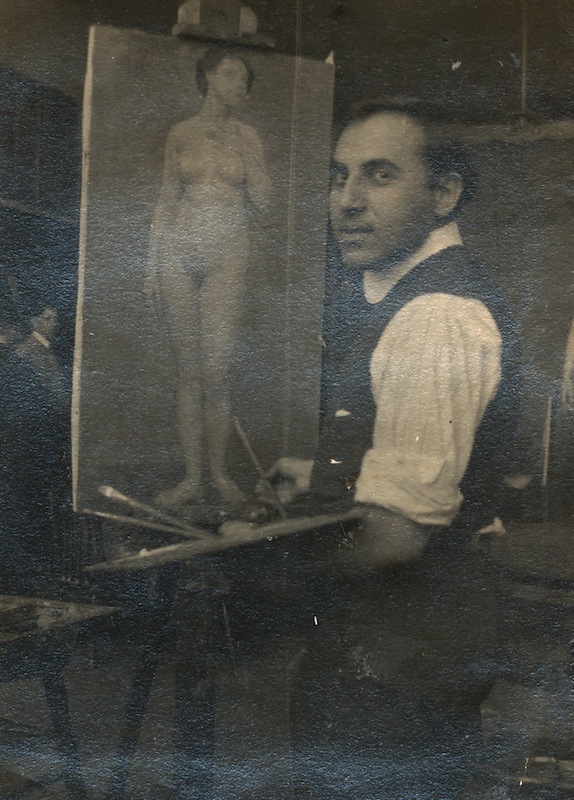 Artist William Meyerowitz was born in Ekaterinoslav (later Dnepropetrovsk), Russia, on July 15, 1887. In 1908, he and his family emigrated to the United States, settling in New York City. From 1914 through 1918, he studied at the National Academy of Design in New York, where won first prizes in drawing, painting, and etching, and received honorable mention for a painting submitted to the American Academy in Rome. He had his first one-man exhibition in 1919, and was elected to membership in the National Academy of Design, N.Y., in 1943. He had exhibitions at institutions including the Corcoran Gallery of Art, the Baltimore Museum of Art, and the New-York Historical Society. Although Meyerowitz achieved recognition for his paintings, he is best known for the development of an original technique for producing etchings in color. He demonstrated this process in an educational film, entitled “Magic Needle,” made by the Fox Film Corp. in 1926. The artist was fully involved in the New York art scene from the 1920’s. He was an invited memeber of the Whitney Studio Club and the Society of Independent Artists. Among his friends or students were such artists as Reginald Marsh, Gaston Lachaise, Joseph Stella, Childe Hassam, Stuart Davis, Joan Sloan, Marcel Duchamp, Edward Hopper, John Marin, William Zorach, Mark Rothko, and Louise Nevelson. Biography excerpted from Library of Congress Information Bulletin (May 11, 1987) and National Encyclopaedia of American Biography.